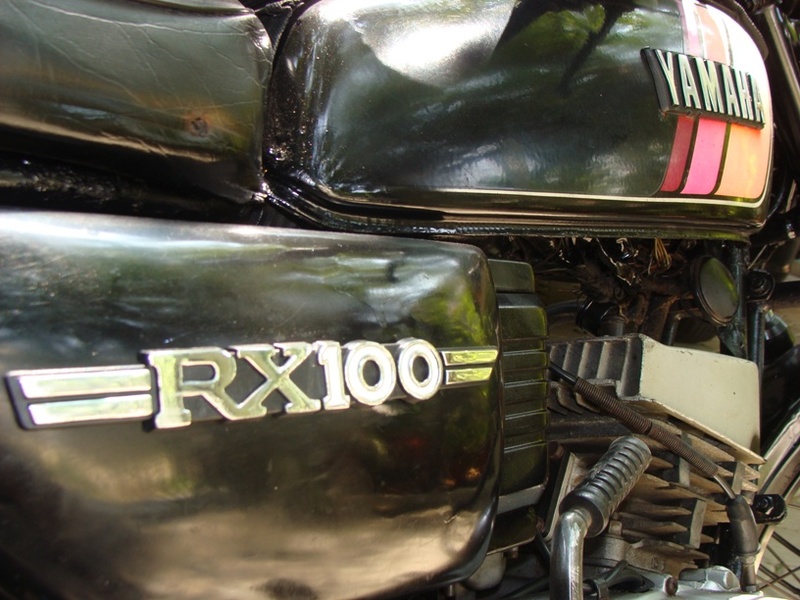 RX100 – The beauty of a bike!!!! I would say the most wonderful bike ever made in India!!!. 17 years and it still runs as smooth as silk. The only thing is the mileage…but you never bought a RX 100 for mileage, but for the sheer thrill of driving!!!. I didn’t know that a registration certificate is valid only for 15 years and had to scamper to get it renewed. Even the government has kind of decided on 15 years life term for vehicles and this one has out lived it. An amazing piece, I always wanted one, the first time I drove it, borrowed from Bala, in college. The neutral between 1st and 2nd gear was always challenging in those days. I also drove Arnold’s RX and enjoyed every bit of it. Probably the only bike in it’s yesteryear, capable of crossing the 100 kmph mark and with ease. It always has been the case of neighbour’s envy and owner’s pride!! !…I have had atleast 3 different people walk in to my house to enquire whether I had intentions of selling it. Off late, I drive it only during weekends and may be the dust on the bike made them feel that I was not using it. I thank God for this bike, which was got at a time, when it was being sold at a premium of Rs 25K, over the price around Rs 43K. I didn’t pay any premium though!!!. My bike was from the very last batch of RX 100. The Odo stopped working at 62,685 kms…I’m sure it would have done few more 1000s…planning to replace the Speedo also shortly.